Start your mornings right by brewing coffee with the DeLonghi Nespresso Essenza Mini Coffee Machine. The Nespresso Essenza can make either espresso (40mL) or lungo (110mL), with each pre set recipe customisable to suit your taste just by slightly adjusting brewing times and shot pressure. The DeLonghi Nespresso Essenza Mini Coffee Machine has a 19 bar pressure system to create your ideal cup of espresso and lungo. Small and compact, the Essenza Mini can be placed just about anywhere at home. The Nespresso coffee machine’s capsule container can hold up to 6 used capsules. The DeLonghi Nespresso Essenza EN85 Coffee Maker was added to the Coffee Makers category in April 2017. 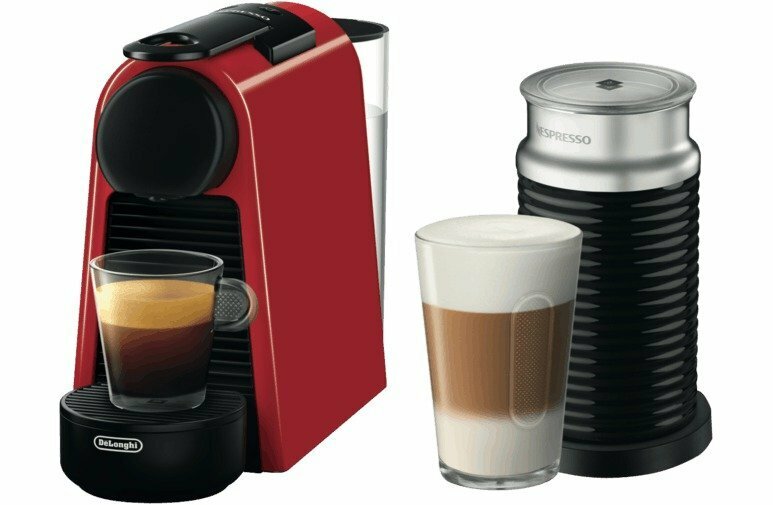 The lowest price GetPrice has found for the DeLonghi Nespresso Essenza EN85 Coffee Maker in Australia is $148.00 from Amazon AU. Other merchants who stock it are Amazon AU, Appliances Online, think of us, Harvey Norman, ozappliances.com.au.